It’s April and spring is well underway. But, while most people are thinking about their summer bod, we think World Health Day, taking place on the 7th of April, is the perfect opportunity to think about our swimmer’s bods. World Health Day is a day where the World Health Organisation tries to promote the importance of universal health coverage. Everyone in the world should be able to get the care they need to live long, happy lives, but the reality is far from this. At least half of the world’s population still does not have full coverage of essential health services. On top of this, about 100 million people are pushed into extreme poverty because they have to pay for expensive health care. Here in the UK, we’re fortunate to have access to the NHS. Operations that would normally cost tens or hundreds of thousands of pounds are covered through taxes, cutting down the cost of healthcare to each citizen while making sure everyone has access. But, the availability of such a system can often lead us to take our health care for granted. So, on this World Health Day, we ask you, what are you going to do to live a healthier life? There is no doubt that one of the best things you can do to improve and maintain your health is exercise. It can reduce your risk of major illnesses, like heart disease, strokes, type 2 diabetes, and cancer by up to 50%, and as swimmers, we’re well on our way to a healthy lifestyle. 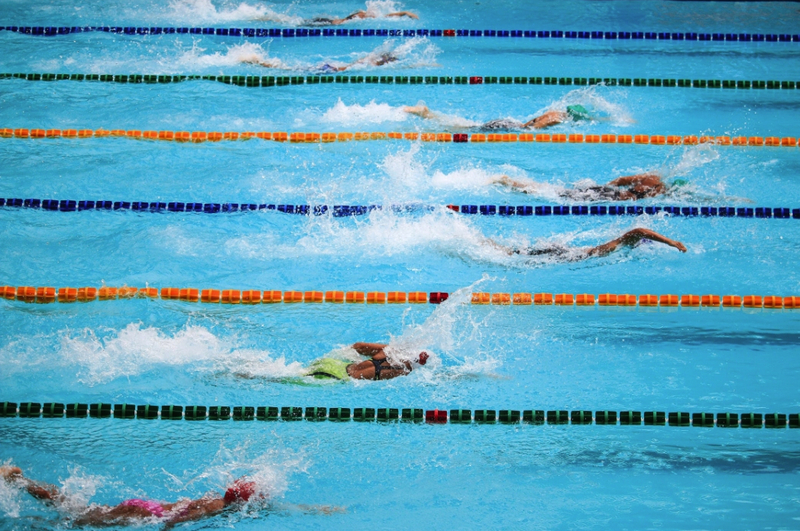 Keeping up your training in the pool is an excellent way to keep your health in tip-top condition, and the great thing about swimming is that it isn’t a chore. If you love the sport you’re doing, you’ll find you don’t have to fight a mental battle each time you want to make it into the pool. You’ll be more than happy when swim time comes around. Another huge factor in living a healthy life is what you eat. The Greek diet is regarded as one of the healthiest in the world, mainly because it’s full of rich fruits and vegetables, and contains a healthy portion of all the major food groups. While we might not be able to enjoy the Mediterranean weather, we can take a leaf out of their book when it comes to diet. But everyone is different, and your diet should be tailored to your body and your activity. For competitions swimmers, this could mean a diet that looks very different from the average person’s. For example, Michael Phelps consumes 12,000 calories per day including fried eggs, cheese, lettuce, tomato, fried onions, and mayo during breakfast alone. Then there are the two cups of coffee, five-egg omelette, porridge, french toast, and chocolate chip pancakes. That’s enough to give anybody a severe case of food-baby and render them useless for the rest of the day. However, before five hours of training, six days a week, at an Olympic level, it’s probably a good idea. Having a balanced diet as a swimmer ensures you have all the energy you need to be able to maximise your performance and make sure your body has all the vitamins, minerals, and nutrients it needs to keep the machine well-oiled. On this World Health Day, we should all make a huge effort to make sure we don’t take our health for granted and support those without basic access to fundamental healthcare by sharing #worldhealthday and following the campaign. Good health helps you look and feel great, and Maru want to help you do this in style. Take a look at our website to shop the range of exciting swimwear we have on offer, or get in touch with us on 01442 430 692.